This is the first major study of the most famous Reclaiming Witch community, founded in 1979 in San Francisco, written by an author who herself participated in a coven for ten years. Jone Salomonsen describes and examines the communal and ritual practices of Reclaiming, asking how these promote personal growth and cultural-religious change. 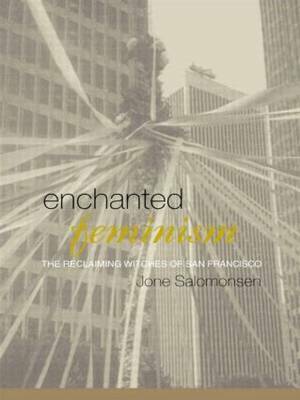 "A tour de force... Salomonsen's rigorous training in traditional theology and cultural anthropology informs the rich description and analysis of this faith community... For those too quick to dismiss feminism, witches, and alternative religions, and even for those already interested in these topics, this book will be a startling revelation."